Steven Kuhn has a colorful background of experience from being the bodyguard for Mick Jagger to helping build multi-million dollar international businesses. I was lucky to sit down with him recently and learn more about his H.I.T. Method when it comes to building brand. Check it out! Henry Kaminski Jr. is the founder of Unique Designz by the HMK Group, a full-service graphic design, branding, and marketing company. 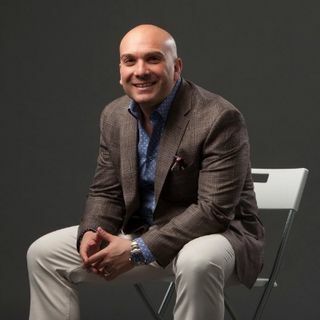 He is ... See More also author of the best seller “Refuse To Give Up.” As a self-taught graphic designer and brand consultant, he’s overcome all the odds to build a wildly successful multi-million-dollar business over the past decade. He has worked with a diverse range of business owners and professionals, including Jon Bon Jovi and Internet marketing expert Russell Brunson who has named Henry the “Million Dollar Designer.” Ultimately, Henry is dedicated to helping small businesses grow and reach their goals through creative design, brand building which will allow entrepreneurs to design the life of their dreams!